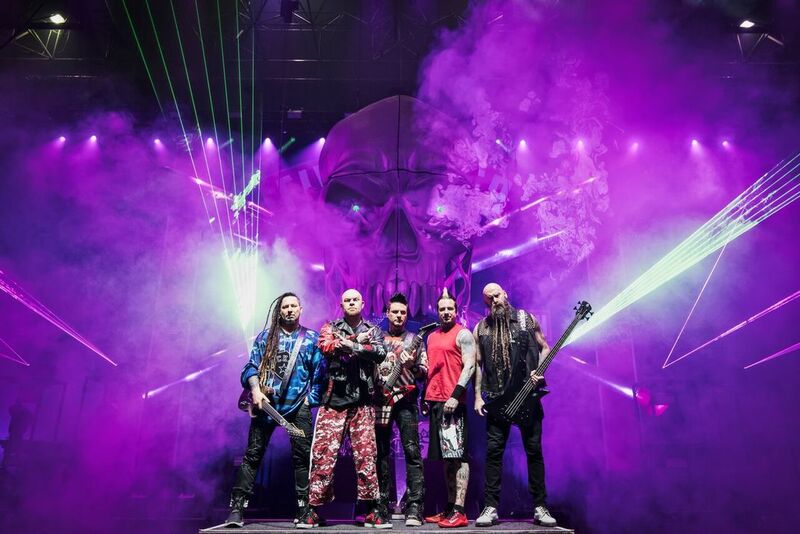 Five Finger Death Punch reveals "Sham Pain"
﻿Published by Sareth Ney on April 20, 2018 at 11:27 p.m.
Photo Credit: Libby Coffey/Prime PR Group, Inc.
Five Finger Death Punch debuted their new song, “Sham Pain”, on April 19. Zoltan Bathory is the guitarist, Ivan Moody is the vocalist, Jason Hook is the guitarist, Jeremy Spencer is the drummer and Chris Kael is the bassist of Five Finger Death Punch. The upcoming long awaited seventh studio album, “Sham Pain”, is the name of Five Finger Death Punch’s release. The record is called “And Justice For None” and will be available on May 18. “Sham Pain” is the second of three brand new songs from the multi-platinum, hard rock band. The first, “Fake”, was made available on April 6 and the third will be made available on May 4. After being making a debut on April 6, “Fake” has been streamed over one million times in the U.S. in the first week. It also made the viral chart on Spotify in multiple countries. “Gone Away” is Five Finger Death Punch’s current single and was a cover of The Offspring’s 1997 hit single. Currently, it has received over 27 million streams in the U.S. and is #2 on the Active Rock chart on iTunes rock and metal charts worldwide. In March, Five Finger Death Punch announced they are going on a co-headlining tour with Breaking Benjamin in the summer. Special guests of the trek include Nothing More and Bad Wolves. It will be produced by Live Nation and Frank Productions, begins on July 16 in Seattle and consist of over 30 dates. For more information, please click here. 2007 was the year Five Finger Death Punch made their introduction. Since then, they have six studio projects. They have all been certified gold from the Record Industry Association of America (RIAA). Three of them have reached platinum status since. In 2016, Five Finger Death Punch received the “Soldier Appreciation Award”. Their songs have been streamed over two billion times.